More than 90 percent of U.S. companies don’t have a public credit rating, adding risk to long-term solar PPAs. Energetic Insurance has finalized its anticipated credit insurance policy for commercial solar projects, designed to protect developers against potential payment default from businesses signing on to commercial or industrial projects. According to Energetic, over 90 percent of U.S. companies don’t have a public credit rating, which equates to a perception of risk from financiers. The insurance policy aims to change that, opening up a significant but untapped market for development. The 10-year “EneRate Credit Cover” is backed by global reinsurer Scor Global P&C. Boston-based Energetic Insurance also announced a $2.5 million funding round, led by Congruent Ventures and with support from Clocktower Technology Ventures and Powerhouse Ventures. The company has previously been supported by a grant from the U.S. Department of Energy. “Our team [has] spent, collectively, decades in the solar industry, and this problem of credit ratings in commercial projects has been one of the most persistent and painful problems that does not have any real scalable solution,” said James Bowen, Energetic’s co-founder and CEO. Until now, the bespoke underwriting that small and medium-sized commercial solar deals require has thrown up blockades for approving a significant volume of projects. Michelle Davis, a senior solar analyst with Wood Mackenzie Power & Renewables, compares Energetic’s policy to a “very savvy underwriter” that can accurately assess a project’s offtaker risk. “In terms of the actual innovation of the product, it is one of a kind,” Davis said. Large C&I customers looking for big deals, such as Google and Apple, have become significant drivers of the overall solar market. C&I procurement accounted for 21 percent of PPAs signed in 2018. But small and medium-sized businesses have mostly been left out of that growth. That’s in part because most lenders prefer offtakers with investment-grade credit. Few small and medium-sized companies have it. Do you make energy decisions for your company? Greentech Media wants to know what the future of renewable procurement looks like for businesses of all sizes. Take our survey here. 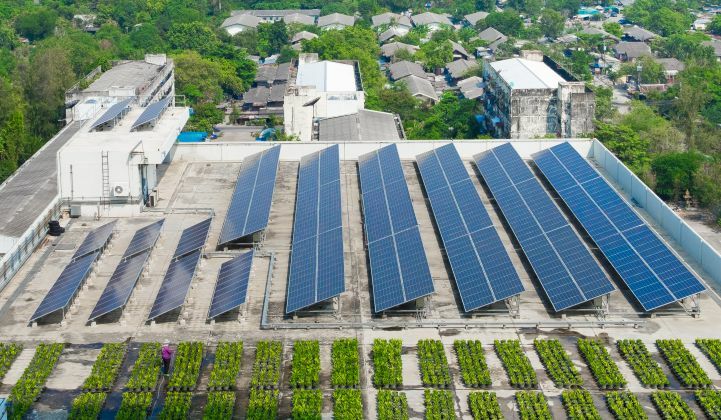 According to studies from Navigant and the National Renewable Energy Laboratory, solar PV would work on between 60 and 65 percent of commercial rooftops. But Davis said that, as of the end of 2017, only 1 percent of offices or other commercial buildings in the U.S. had solar installed. That reveals a significant gap in deployment versus potential. That’s why some in the industry are looking at Energetic’s policy as “a game-changer,” as Jordan Blanchard, general manager of renewable energy lending at Live Oak Bank, called it. Live Oak has worked with Energetic over the last year to develop the "EneRate" policy and make sure it works for lenders. The bank is now launching a small-business solar division specifically targeted at projects in the $500,000 to $5 million range. “The only way we can do that is with the Energetic policy,” said Blanchard. 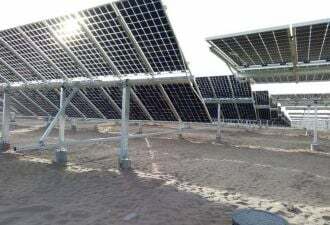 Though Live Oak has worked in the utility-scale solar space in the past, which Blanchard recognizes offers the financier a “flexible mindset” compared to traditional big-bank lenders, he said Energetic’s product allows Live Oak to say yes to projects that would have gotten a no before. Despite the plaudits, the impact of the product remains to be seen. Though the policy is now officially available, Energetic has yet to announce a deal that’s using it. And as Congruent’s Posamentier put it, “there’s no substitute for adoption.” But Energetic said it is actively underwriting a number of projects — with more announcements to come soon — as well as fielding inbound inquiries from developers.